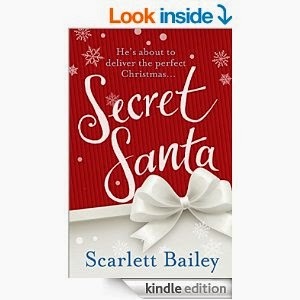 As always, I was thrilled to learn that my festive favourite Scarlett Bailey has a new Christmas book out! Eager to learn what was in store for the wonderful folks in Poldore, I dived in straight away! A self-confessed Christmas queen, Sue Montaigne prides herself on organising the annual nativity pageant in her small Cornish village of Poldore. But this year, what with having to deal with the repairs on Castle House after it was wrecked by a terrible storm, training a new – and frankly flighty – Virgin Mary and managing a Joseph who is allergic to sheep, she is distinctly lacking a little bit of ‘me time’. Once again, the characters in Poldore are on form with plenty of laughs, lots of love and tons of Christmas cheer. We also meet a couple of new characters, Blake, the Hollywood movie star (sigh...) and Nick (a bit bonkers but lovely!). Sue learns an important lesson in Secret Santa, never judge a book by its' cover. I'm so glad Blake arrived. He added a hint of glamour, some smouldering sexiness and made me (and Sue) swoon just a little. Nick also taught Sue a lesson, you're never too old for Christmas wishes. These are things a lot of people forget and it was lovely to read. I adore Scarlett's books and this novella was no exception! If you've never read one, DO! She's just so damn good! Always warm, funny, a little cheeky and so, so lovely!